Comments: This viburnum features broad spreading branches somewhat like the branching of the flowering dogwood. Branches are covered with white flowers in the spring followed by red berries in autumn that turn black with age. This viburnum makes an excellent specimen shrub in the landscape. Provide a well drained soil and some sunlight during the day. 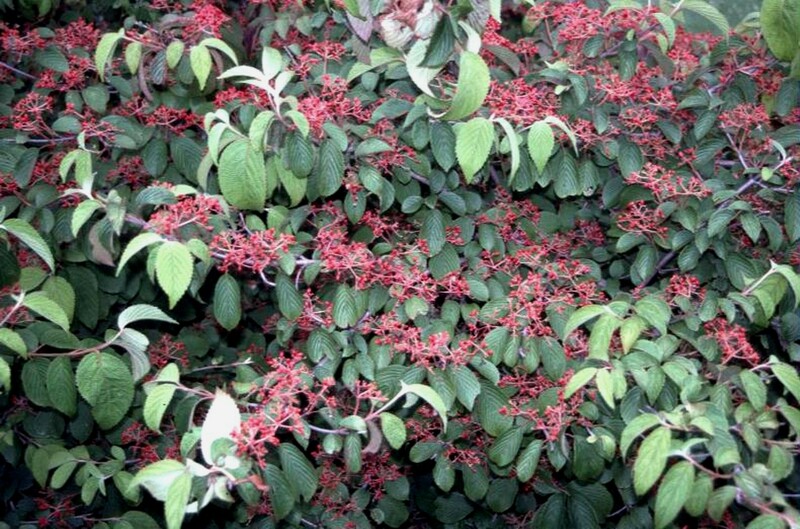 Grow doublefile viburnum in the upper regions of the country. It cannot tolerate the intense heat of the Lower South.